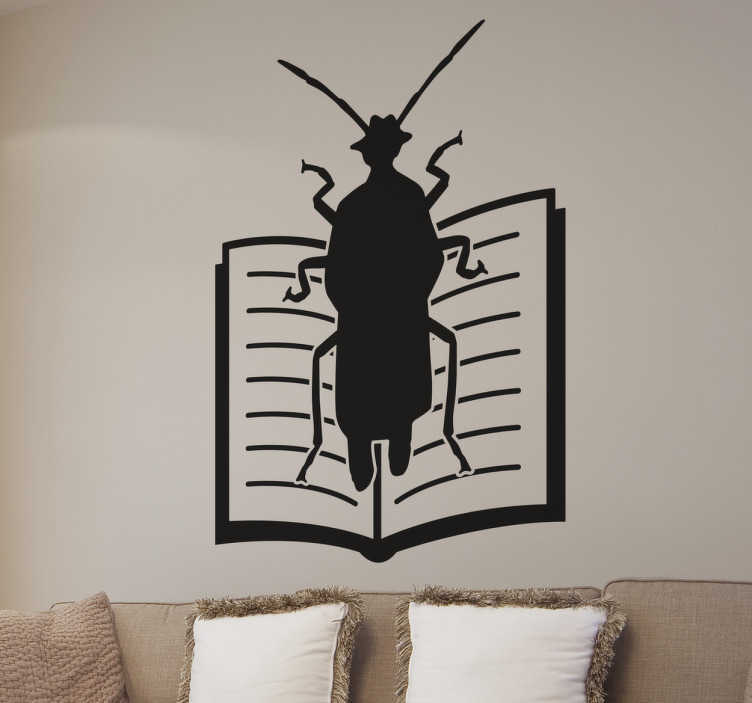 Wall Sticker of a cockroach on a book, one of the greatest masterpieces of Czech writer Franz Kafka. In his book The Metamorphosis, a salesman turns into a large insect. A fun literary sticker for Franz Kafka fans. Not everyone will understand this sticker but for those who do it is really worth it.